Building in the form of adding an extension, major remodelling of your home or a self-build conjures up disruption, debt, dust and perhaps even divorce! The building process can be an extremely stressful time, but it doesn’t have to be! Working with an Interior Designer can simplify the process of building and renovating and they can be an invaluable mentor and guide helping you to streamline the process, saving you time, money and frustration. Here’s a guide from Nicky Percival Interior Design, based in Tunbridge Wells to surviving the building process and minimising tensions, making the experience a wonderful dream and not an excruciating nightmare. Have a clear vision of what you want and the scope of the work involved. The more research and legwork that you put in before will be well worth it and this should include visiting showrooms, suppliers and getting ‘real’ samples of products and finishes. Making decisions early in the process will give you more control and should prevent costs from escalating. Try to avoid changes in design, layout, size or finish as these will all lead to delays and cost implications. Ask friends and family for recommendations and when you find a builder, ask to see projects that they have completed. Alongside this, establish early on in the process which other professionals you need including architects, surveyors, builders, engineers, and perhaps an Interior Designer. The latter can be absolutely invaluable for keeping you focused and on track. You will need a signed written outline of work, agreed period for completion and agreed price. The latter two cannot be overemphasised. You should expect a formal legal contract when working with professionals. Set time aside to regularly visit and inspect the site before or after the busy part of the day, as you don’t want to be disrupting the building process and also arrange formal meetings to document progress. It’s important to keep notes and take photographs, as these will provide wonderful memories of the process. It is essential to keep this very clear, particularly when there is more than one person involved in the decision making process. Define who has the final say and don’t take out any frustrations on each other. 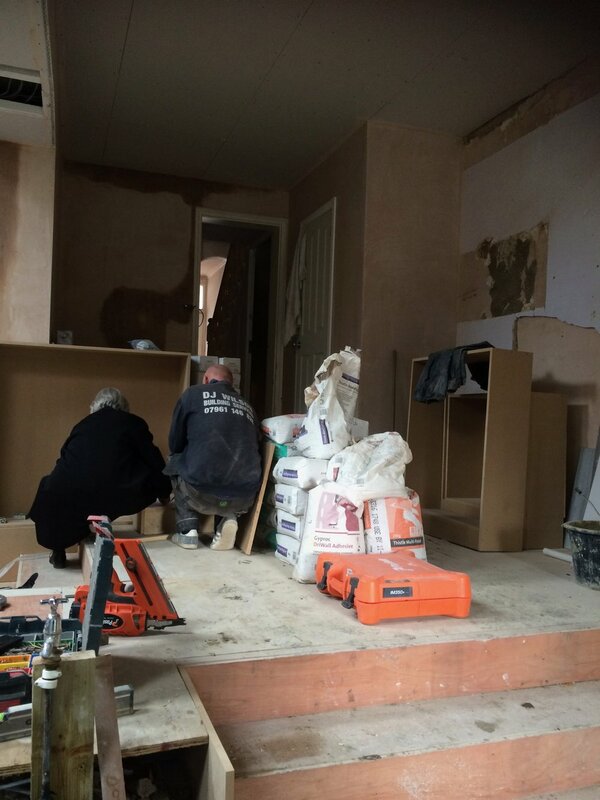 Expect dust and dirt and remember your home has temporarily become a building site and not a house. Every dust particle takes time to settle, which can be weeks or even months. Try to seal off any rooms that are not involved in the project. Always talk to your builder, as communication is key to a successful outcome and a less stressful situation. Make plans for children, as they may have to share a room or move out. Building work can be all consuming and has a unique frantic pace of its own. Urgent decisions can seem endless, but also stay positive and focus on the end results. Make sure that you make time for yourself and your family and keep your head clear. You will get there and it will all be worth it! If the vision was there at the start – it will be there at the end! Are you looking to work with an Interior Designer who will guide you and keep you focused throughout the building process, managing your expectations along the way. 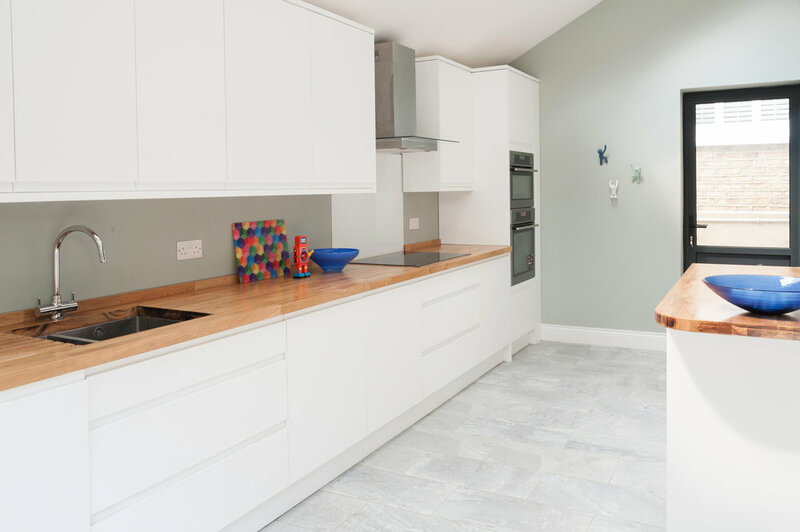 Here at Nicky Percival Interiors, we have a wealth of experience of helping clients through the building process, making it as stress free as possible. Please get in touch on 07773 372158 or email nicky@nickypercival.co.uk for a without obligation chat.